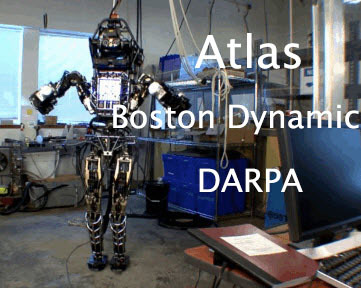 Atlas is a humanoid robot developed by Boston Dynamic- A robotic firm owned by Google. This project was financed by the United States Defense Advanced Research Projects Agency (DARPA). Therobot is able to withstand any form of bullying, and still achieve Its task. It is about 5ft–6ft (about 175cm), and is designed for variety of search and rescue tasks. The Atlas robot was unveiled on July 11th, 2013. Previously, there have been an upgrade of models we’ve seen from the firm, which is a good upgrade. The dynamic robot is able to withstand any form of bullying and distractions. It was kicked, pushed, and teased by researchers, but this robot continued with its task of picking up and moving boxes, despite the distractions. Atlas robot production was overseen by United States Department of Defense– DARPA, in cooperation with the Boston Dynamics. One of Its hands was made by the Sandia National Laboratories, while the other handwas by iRobot. Before the latest upgrade, Gill Pratt, the program manager, compared Atlas version to a kid, saying that a child of 1 year old can at most walk or stand, according to him, that was their level then, before Atlas powerful upgrade. After its new dynamic upgrade, Atlas is now a powerful robot. In one of their videos, features a member of the Boston Dynamicsgiving Atlas severe whacks to its upper back, the robot falls over, with its face landing first on the floor. After a few moments, the robot jolts itself upright, before somewhat, despondently, walking out of the building.Another demonstration in Boston Dynamics video, shows Atlas walking on snow, and righting itself, whenever it encounters some difficult terrains. According to the company, Atlas is a robot, electrically powered and hydraulically actuated. It uses the sensors that are all over its body to balance. It also has a LIDAR and stereo sensors attached to its head, to avoid obstacles, help with navigation, and to assess the terrain. It is about 5ft 9in (175cm) tall, and its weight is about 180Ib (82kg). Atlas comes with more features, and is a robot built to a dynamic style. It carries out lots of tasks, without being distracted as we explained above.